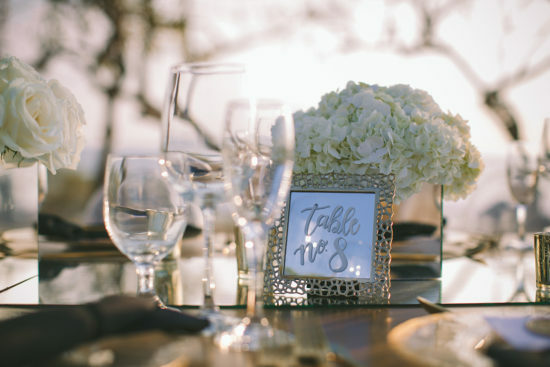 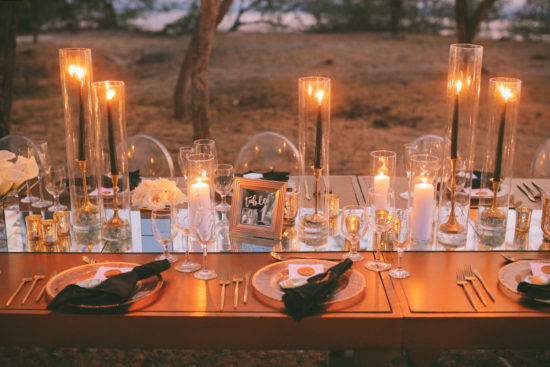 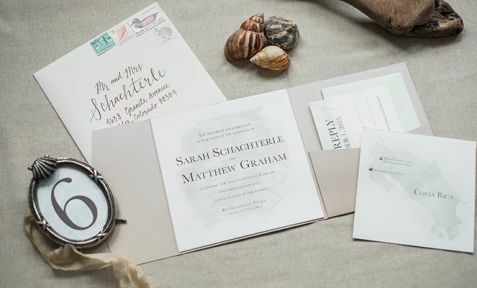 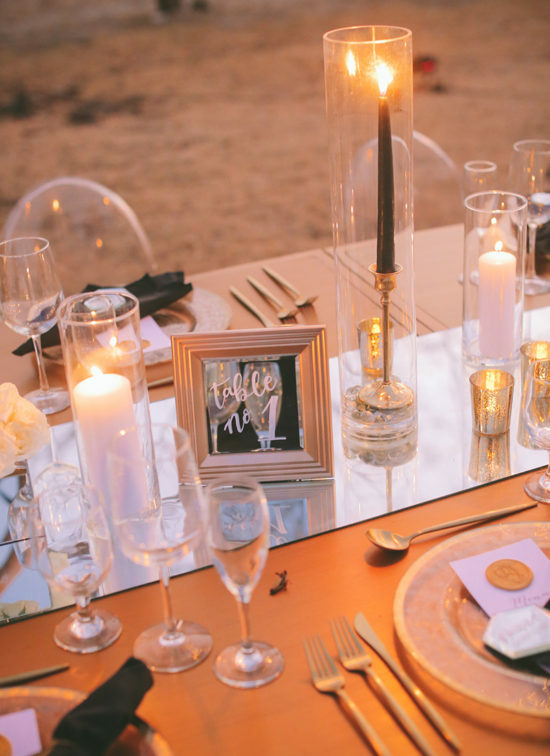 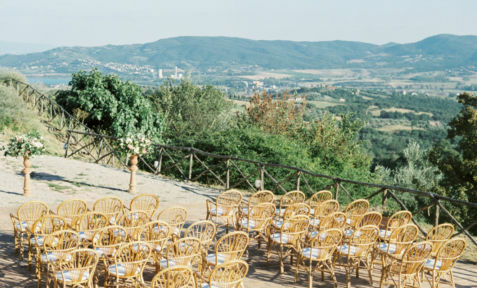 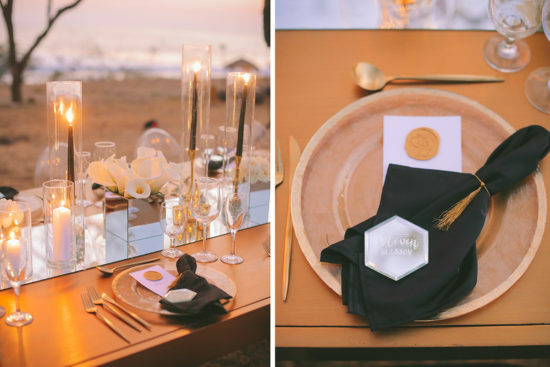 This dreamy wedding was featured in the Fall 2018 Issue of Destination I Do Magazine and I am so pumped to finally share all these gorgeous details! 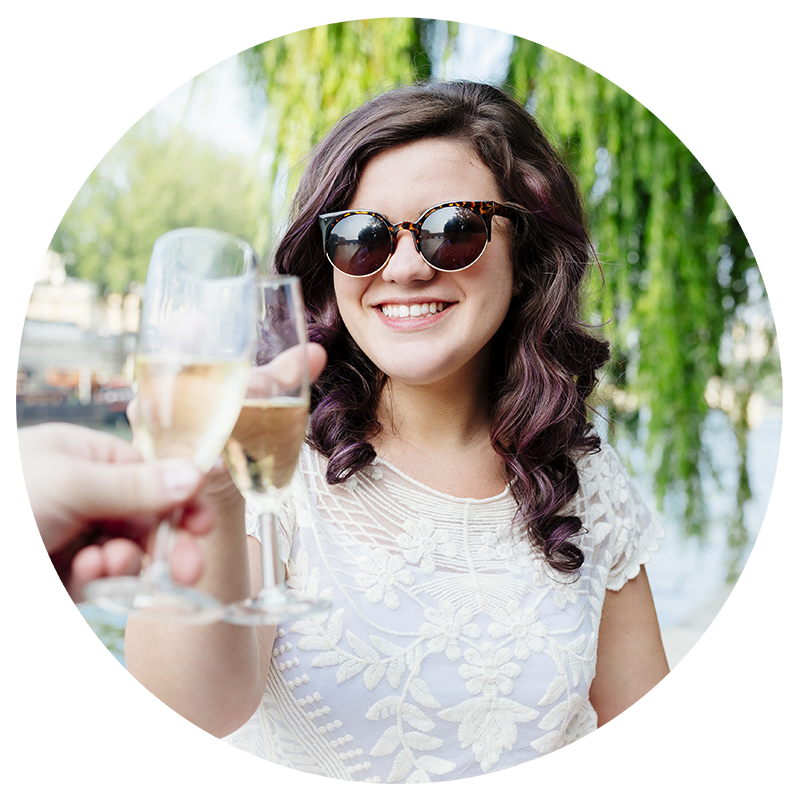 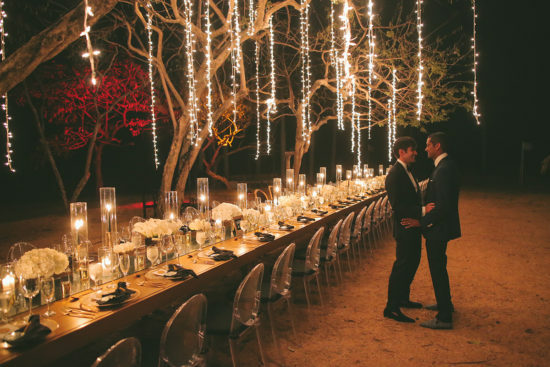 Sanjay and Matt’s wedding looked like an absolute dream and we were honored to be a small part of it! 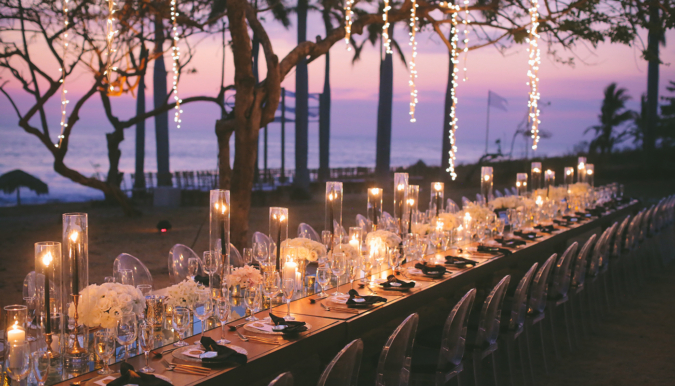 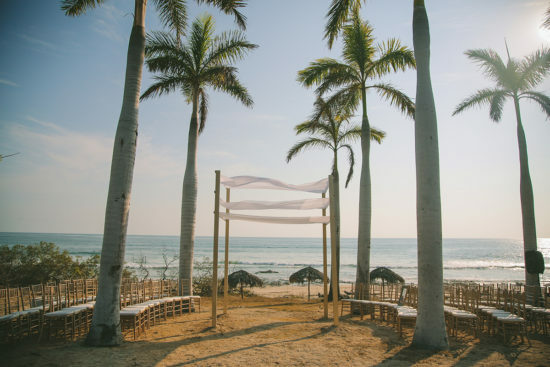 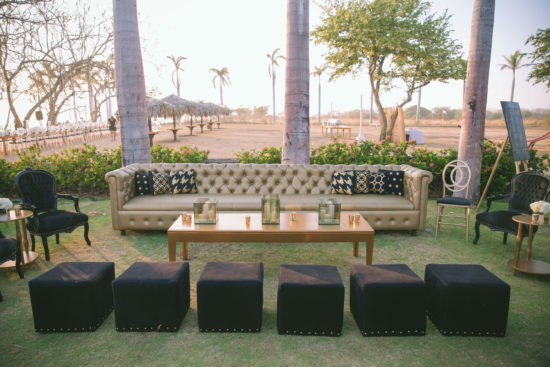 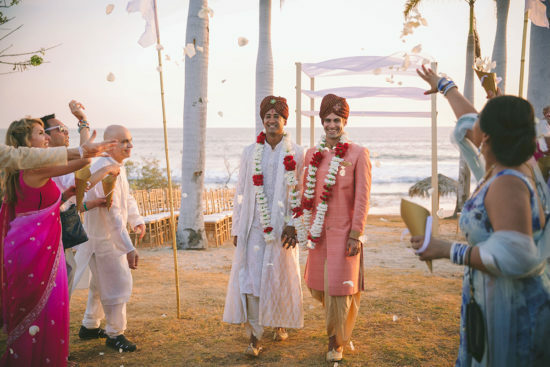 Their special “day” was actually a full weekend of destination wedding festivities in Costa Rica that blended their colorful personalities, Sanjay’s Indian traditions, and the romantic elegance all weddings deserve! 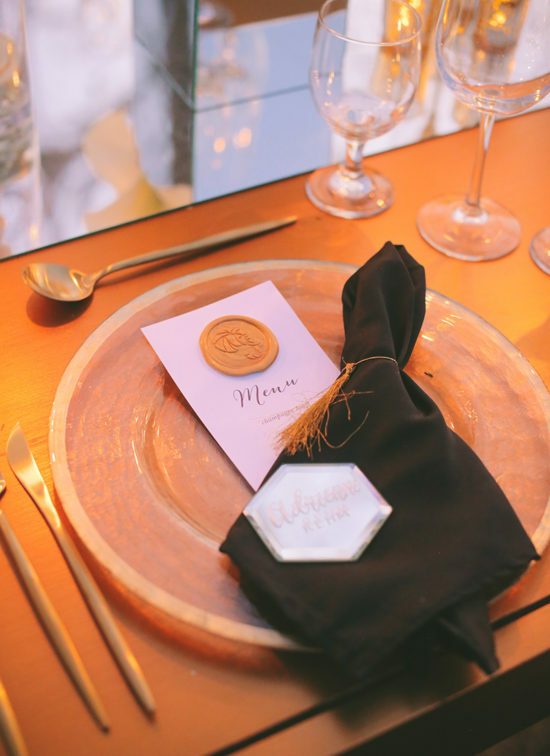 The first event I had the privilege of designing for was their colorful Sangeet, a sort of welcome dinner type of event for the Indian Weddings. 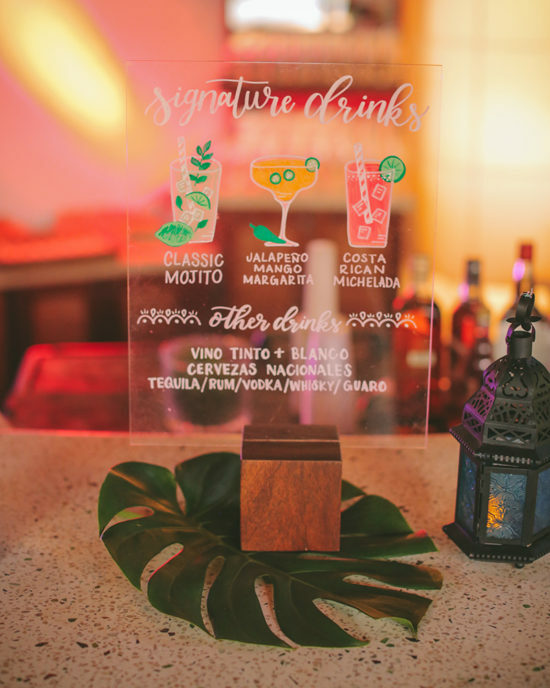 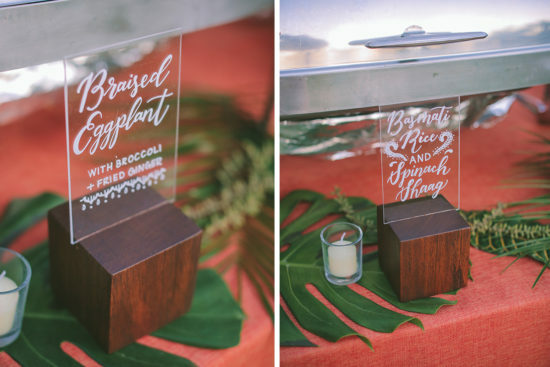 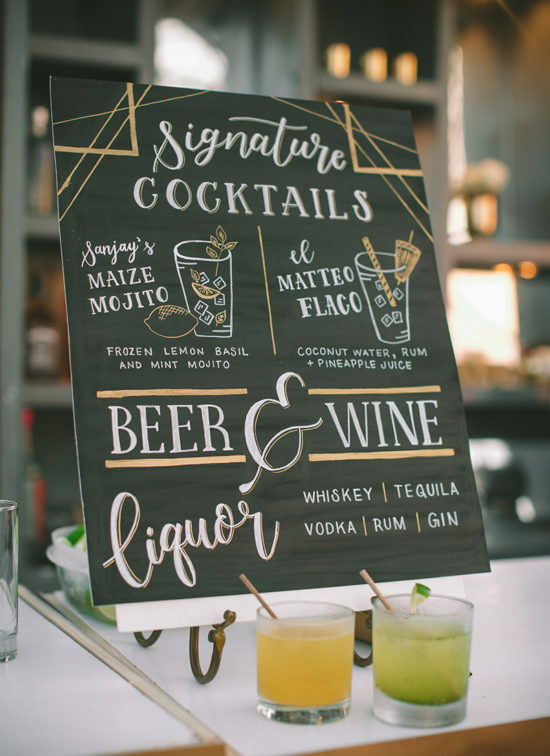 For this first night we designed some fun signage pieces, including an acrylic signature drink menu and buffet labels incorporating Mehndi (henna) inspired designs. 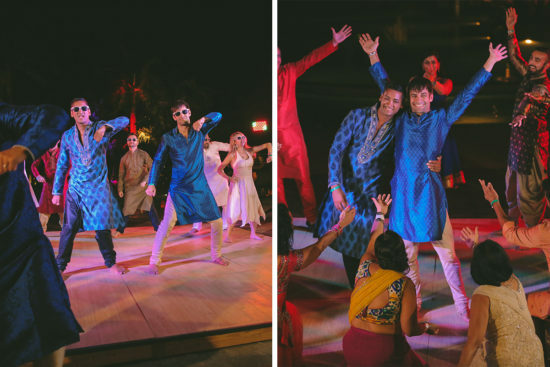 The night was capped off with a choreographed dance from the wedding party fit for Bollywood – how fun! 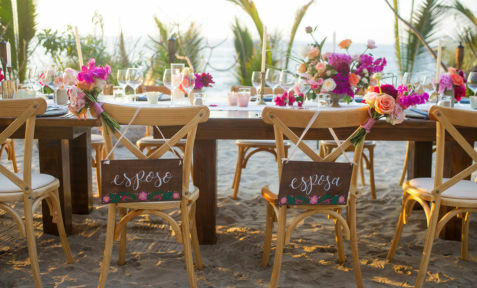 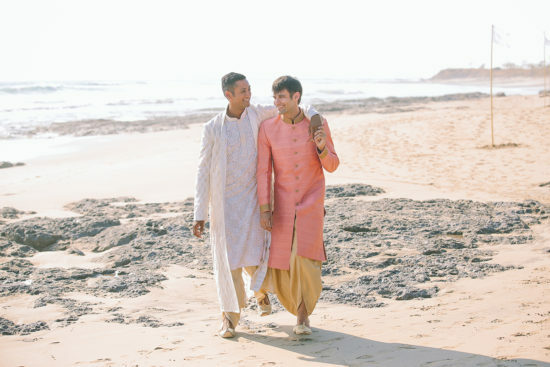 The next day, Sanjay & Matt had a dreamy beach wedding ceremony at sunset incorporating more Indian Wedding traditions. 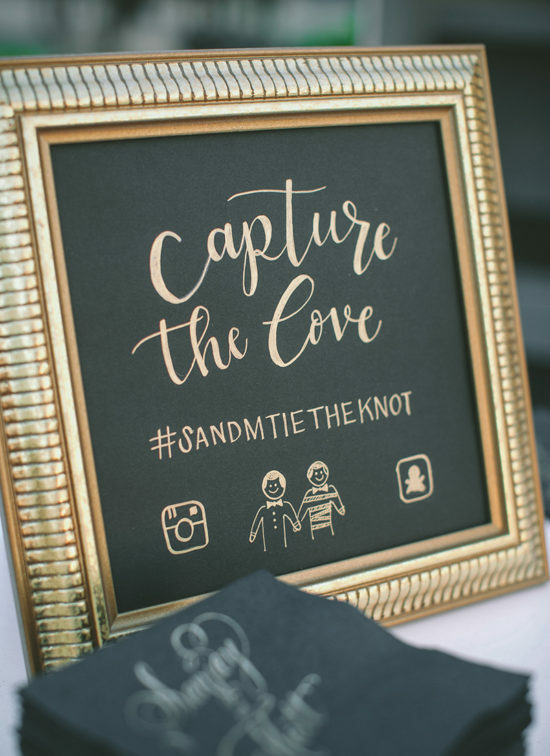 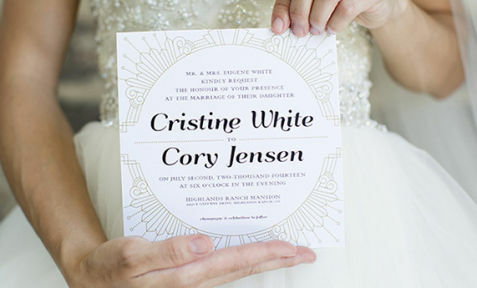 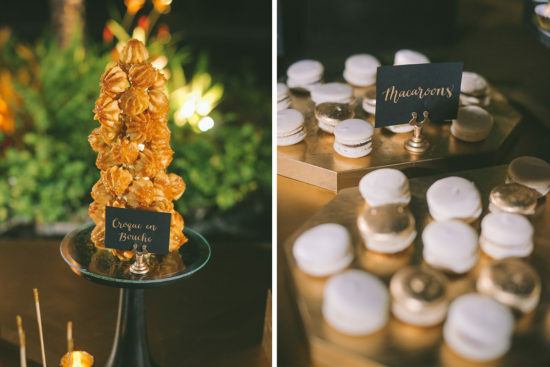 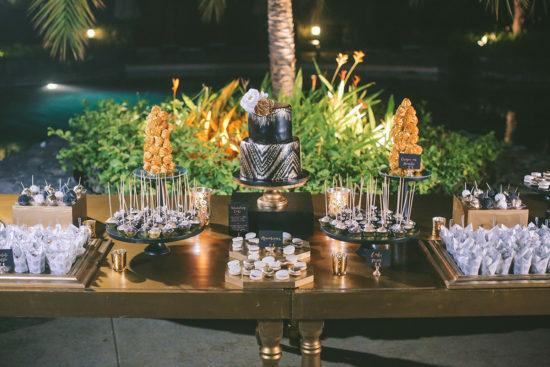 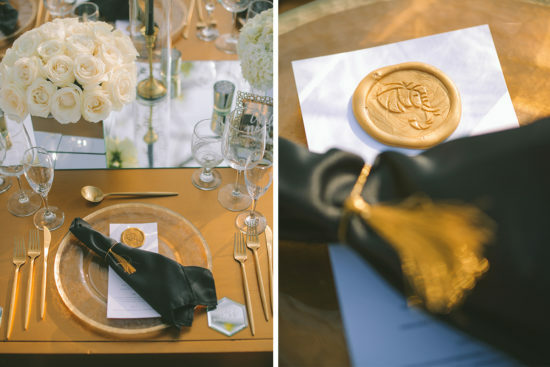 Their I-do’s were followed by an art-deco inspired reception dripping with elegant black and gold, glamorous mirrors, and romantic mood lighting. 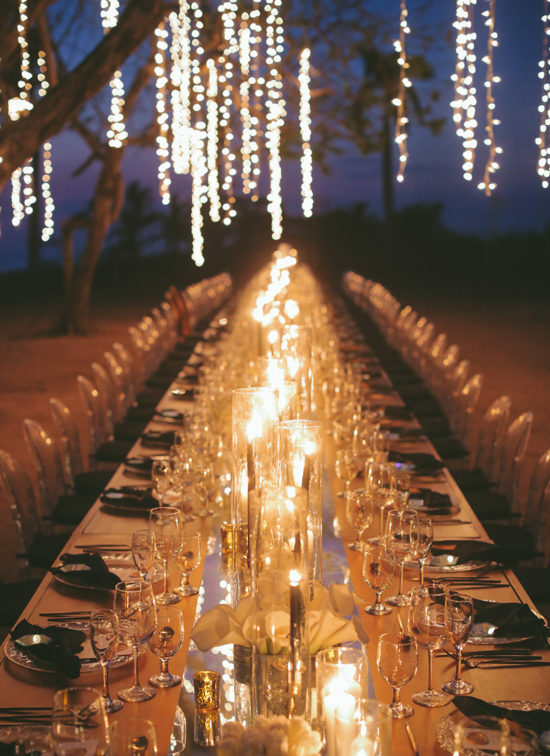 Don’t you want a seat at this inviting table? 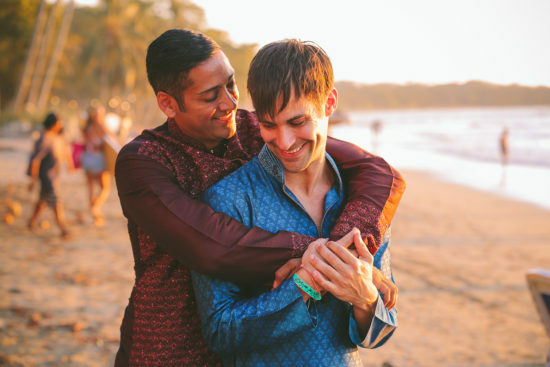 Congratulations to Sanjay and Matt!